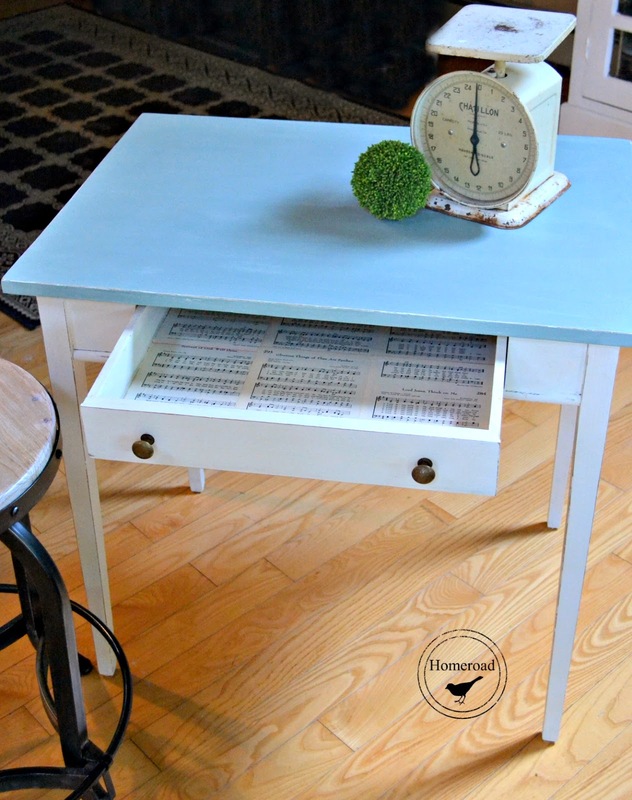 Never wanting to pass up a bargain I gave the table a new home. 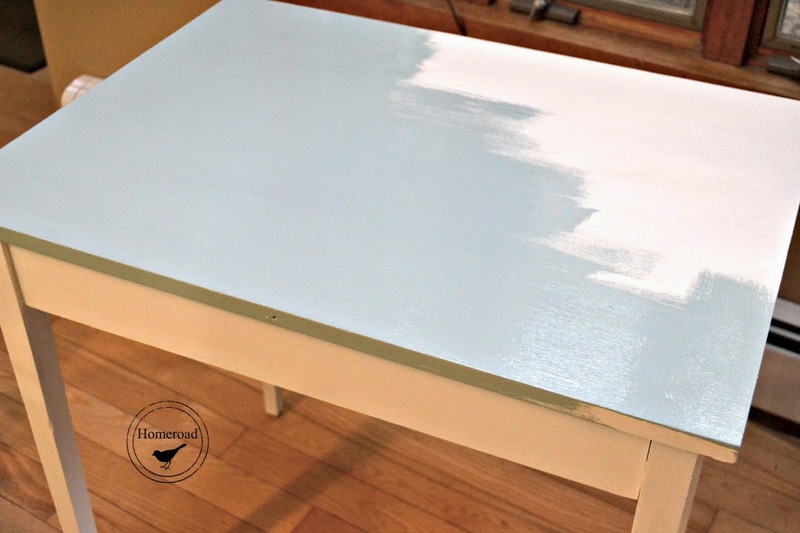 The table was unpainted with stains everywhere! the drawer by cutting a piece of Masonite to fit inside. drawer bottom so it slid right in. 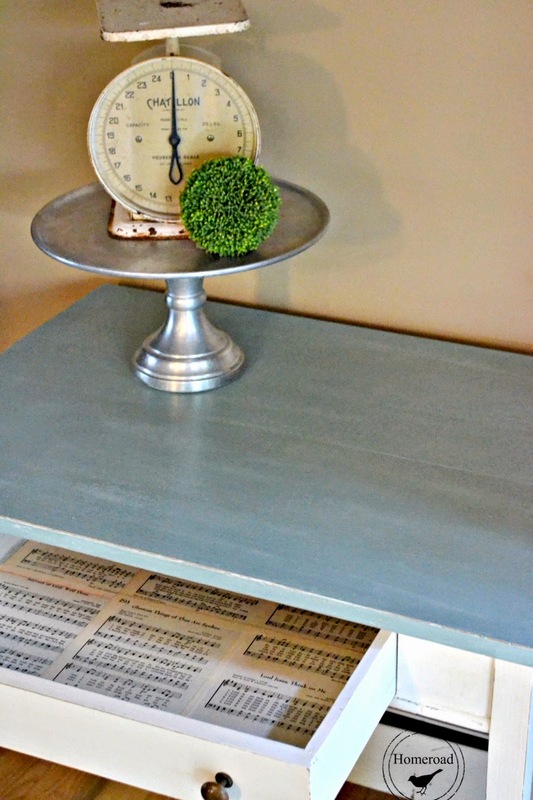 old table would not find their way through the chalk paint. the top with Duck Egg Blue and it was a good choice. and the original wood color shows through on the edges. I waxed the table with clear wax and already loved the table. 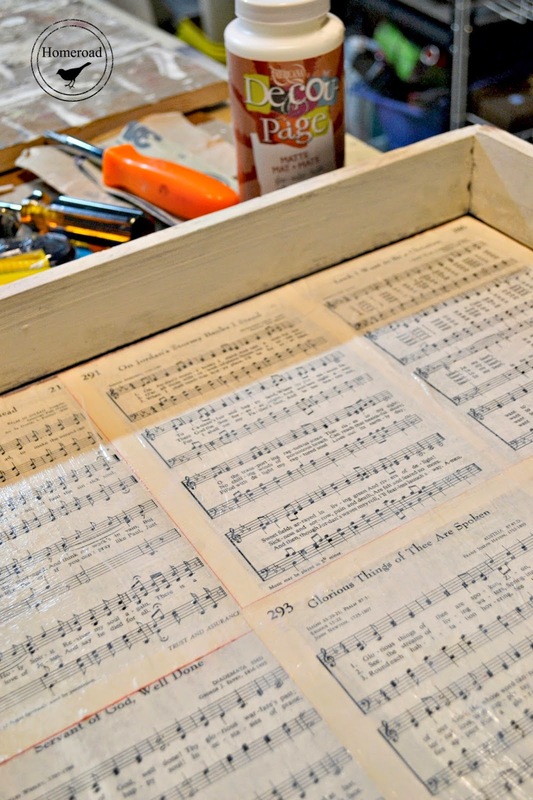 to decoupage hymnal pages to the inside of the drawer. one that is great for outdoors. were heavy brass and had a great patina. The free table was well worth the trouble to fix it up. now looks like a rock star! 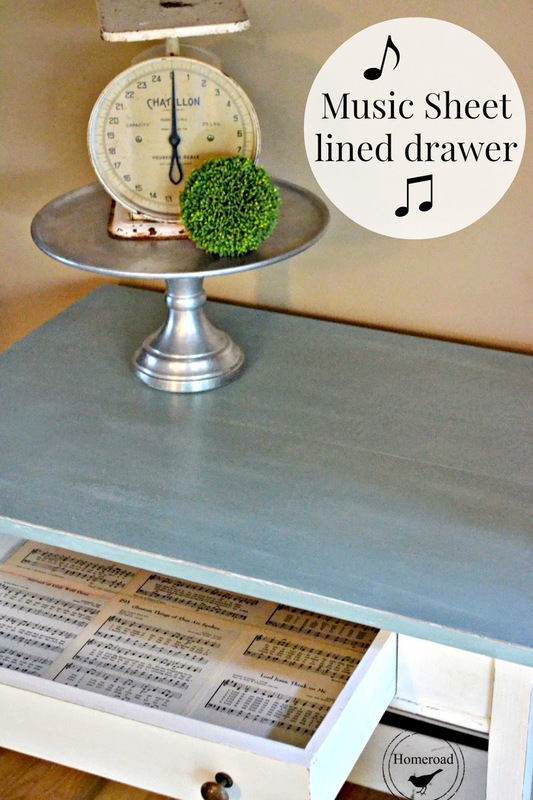 Your table looks great Susan, love the sheet music drawers! Great price too, can't beat that!! How perfectly sweet! :-) Great job! sweet! :) the lining was perfect for this piece.